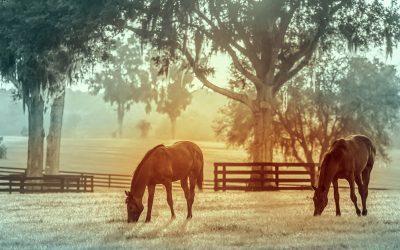 As you have likely heard by now, The Right Horse Initiative’s main goal is to massively increase horse adoption in the United States. We believe there are many reasons why only an estimated 10,000 adoptions took place last year, compared to the US horse population of 7 million horses. One of the ways we can tackle this and increase adoption is simple but not easy: get adoptable horses in front of more potential adopters! Developing a web app that does exactly that while also increasing transparency and making the adoption process easier is a big step in the right direction. That’s why we are excited to introduce My Right Horse, an exciting new web app that lists horses available for adoption across the country. In considering the ways we can make a big impact on adoption, we refer back to the study completed by our partner, the ASPCA, which found that there are 2.3 million adults in 1.2 million households in the United States willing and able to adopt a horse. While we don’t know the exact number (yet), we estimate the number of horses in transition to be a fraction of the demand: therefore, it’s a matter of connecting the right people to the right horses. It goes without saying that the internet has rapidly become the way we consume much of the information we absorb. Even word-of-mouth communication has gone online with the likes of Google, Yelp and Facebook reviews. It was one of The Right Horse Initiative’s earliest goals to streamline the horse search process and make it fun, simple, and user-friendly for both adopters and adoption agencies. When searching for a new horse, in most cases it’s important to meet your potential next horse in person. However, discovering those potential horses and narrowing down the choices typically starts by browsing online listings. At the end of the day, finding a home for an adoptable horse requires good marketing. If 1,000 potential adopters see a post versus 10, that horse has an exponentially higher chance of finding its right home. An honest description, good photography, videos, documents, and accessible contact information that makes it easy to learn more are key pieces of a great adoptable horse listing. Showcasing horses in a positive, professional manner makes a huge difference. Once a horse is rehabilitated, retrained and ready for its new home, it’s no longer a “rescue” horse – it’s simply a horse looking for a new job and home. My Right Horse displays beautiful photographs of healthy horses, happily under saddle (in the case of riding horses). We’ve actually received feedback already from people who don’t realize the horses on My Right Horse are rescues, because they look so good! 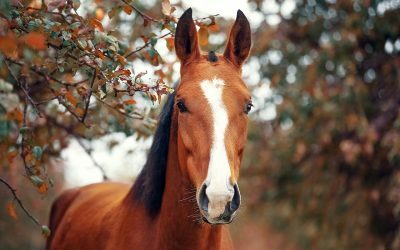 Marketing also comes into play with horses that are considered harder to adopt, such as senior horses, horses that have physical limitations preventing riding, or horses with expensive maintenance needs. In these cases, highlighting the horse’s other positive attributes is important. For example, showing off the horse’s excellent ground manners by sharing its Basic Behaviors Profile results or posting a nice video of the horse working through a groundwork obstacle course can capture adopters’ attention. My Right Horse also aims to increase transparency in the adoption process. A successful adoption hinges upon the adoption agency honestly communicating the needs of its horses, understanding the adopter’s needs and matching appropriately. Adoption agencies listing on My Right Horse have committed to full transparency about their horses’ temperament, training level, groundwork skills, physical abilities, and history (to the extent they know it). Granted, a good horse professional who sells horses as part of his or her business should ideally adhere to the same principles; but it can be hard to judge this when viewing online listings. With My Right Horse, you can feel confident in your decision to search and adopt. In addition to featuring organizations focused on enhanced transparency and professionalism, My Right Horse is also current. What can be more frustrating than finding the horse of your dreams online only to find the horse is no longer available? On My Right Horse, listings automatically expire after 120 days, encouraging organizations to keep their listings up to date. My Right Horse is also mobile-friendly and makes it easy to share a listing via Facebook, Twitter or direct link copy. Once you find one (or ten) you’re interested in, you can directly contact the adoption organization from the buttons on each listing. What’s next for My Right Horse? As a brand-new web app, it’s continuously under development with new improvements completed frequently. As it grows, we’ll look for additional organizations to join and list their adoptable horses and increase the pool of available horses for potential adopters to see. We’ll incorporate feedback from both adopters and agencies to optimize the user experience. 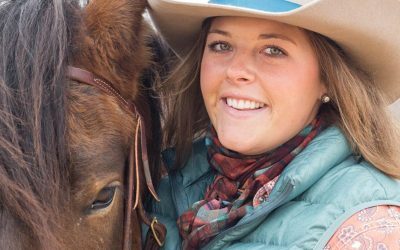 Most owners don’t care where their next horse comes from; they want one that fits their needs. Great adoption organizations understand the significance of making good matches. My Right Horse is here to make it as easy as possible to search adoptable horse listings and find the perfect horse for your family. In other words, more horse shopping! What could be better? Join us over at www.myrighthorse.org and browse available horses, share listings with your network, and help create successful matches between good people and good horse.